Sketch our atrium and collections, and help us create our own mini National Army Museum. 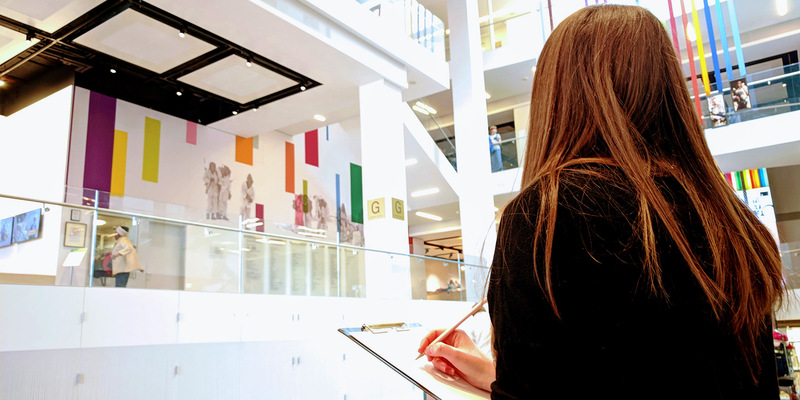 For Open House London 2018, visit our atrium and have a go at creating colourful sketches of your surroundings. Then add what you've drawn to our ever-growing 3D paper version of the museum. Illustrator Sion Ap Tomos will be on hand to help you create some fabulous drawings. Sessions run from 11am to 1pm and from 2pm to 4pm. Suitable for all ages.